We’re coming up to the International Day of Women in Engineering on 23 June 2018. And, with almost all member companies that we visit stating that attracting and retaining talent is a key issue for them, we thought we would share some ideas with you. The aim – to provide some insight on how to broaden the talent pool by making your business more attractive to female employees. We haven’t focused on the big picture items that everyone already knows, like providing flexible work hours or mentoring programs. Instead, we’re focusing on the basics. Mainly relating to culture, that probably get overlooked because they’re so basic. 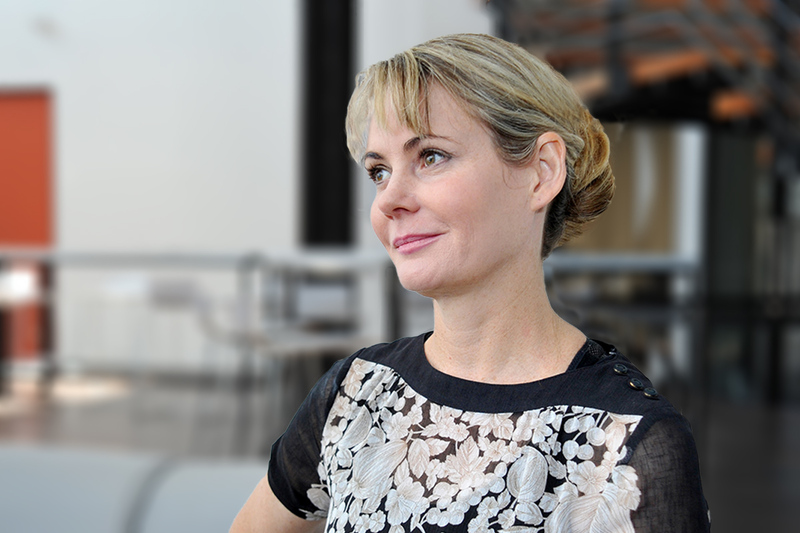 Watch this exclusive video with our CEO Dr Troy Coyle as we delve deeper into what got her interested in science, her career path to date and her thoughts on gender diversity in our industry. Language drives communication and communication drives culture. Think about how your business language is driving your culture. Are your job advertisements attracting diverse applicants? Do your policies and procedures model diversity? For example, do you use the terms “he, his, him” generically? Do you use gender biased terms such as “manpower”, “manning”, “Chairman”? Or masculine terms like “ambitious, hierarchical, strong, workforce”? It may seem like a small thing. However, language is the basis of communication and our communication says a lot about our business culture and how we envisage the role of women in it. Think about your recruiting processes. Gendered wording of job advertisements signal who belongs and who doesn’t. Here’s a link to a very interesting study (of which there are many that exist out there) that shows masculine worded advertisements reduce perceived belongingness, which in turn lead to less job appeal for women. Facilities can be inviting or off-putting. Do you have suitable female bathrooms? This is a basic that many companies haven’t considered. Does your PPE fit well on women? There are many options now for clothing that have been designed with women in mind. Are there posters, calendars or similar hung up around your workshop or staff rooms that objectify women? I hesitate to add this one as it’s a very controversial topic but let me explain my perspective. It can be hard to be taken seriously as a woman on the plant floor. It feels a lot more difficult when you see evidence that women are being sexualised. Of course, some people are OK with this, but often there are others who aren’t – and may feel uncomfortable to raise it as an issue. In these cases, I think it’s best to err on the side of caution. But hey, it is 2018, the 125th anniversary of women’s suffrage in New Zealand, time to burn (or recycle) the calendars now. PS – this legitimately applies to similar pictures of men too! This is a tricky one as people usually aspire to be what they can see. If you don’t have a plethora of female leaders as role models, you’ll need to make it clear to newcomers that your company supports progressing women. You may need to follow this up with actions that show this to be true too. Almost all of us have an unconscious bias towards leaders with a certain presence. Volume or pitch of voice, mannerisms, stance, stature, hobbies, and many other attributes impact this. However, other than appealing to our unconscious bias, none of these inherently indicate leadership success. It’s worth remembering this and accepting that authentic leadership comes when people are supported to be their authentic selves. Shake everyone’s hand. Make eye contact with everyone. Take an interest in everyone. Even when they aren’t like you. Make sure everyone follows this rule so that no one feels unimportant. If you’re in a meeting and everyone’s hand gets shaken except your female colleague – make a point of introducing her and ensure this courtesy is extended to her also. Proactively help to change the culture. Sometimes it is hard to speak up. Accusations of being sensitive, a stick-in-the-mud, lacking a sense of humour, and being a feminist all create a culture where women are made to feel uncomfortable about giving true feedback about workplace culture and why they would stay or leave a business. Also, best not to get defensive and say “I’d say the same to you if you were a man.” If you have to justify it – it’s probably not true, and certainly won’t come across as genuine. Think about offering internships, returnships, cadetships, and scholarships that will support women to see the positive and attractive aspects of working in this industry and your business in particular. Implementing processes that positively encourage the appointment or promotion of women does not mean that you will be employing the wrong person for the job. It just means you are acknowledging and addressing some of the inhibitors. The right man for the job may actually be a woman who may not otherwise “shine” in your recruitment or promotions process. If you want to recruit the best talent, have a look at where the talent is currently going. See what is working elsewhere. The talent pool only gets smaller each time your competitor takes someone out of the pool. Make your pitch to prospective employees truly inspirational. If you want to find and keep the best person for the job, consider all of the above and implement change. Make your business an inspiring and motivating place to work for all. Consider investing in innovation in your HR department, as much as your product development department. We want to help our members with their concerns around attracting talent. We are obviously not HR experts but we do know that innovation doesn’t just relate to products and services – it relates to people too. The competition for suitable employees is something that impacts our members significantly. With this month’s focus on innovation in careers and work practices, we’ll seek to get some guest commentary from HR experts on what the latest innovations in this space are. So stay tuned. In the meantime, feel free to contact us if you have any insights that you’d like us to share with our members and key stakeholders. You can do so by contacting our Manager Marketing and Communications Kim Nugent.